Trust the professionals at HomeView, Inc. for high quality building inspections. We provide a full assessment of the property along with a comprehensive, detailed report. We can schedule your inspection, provide quotes on inspection fees or simply answer questions you may have regarding the inspection process. Buying or Selling or Simply Just Getting A Check-Up? Buying or selling is most likely one of the biggest decisions you will ever make. Even if you are not buying or selling, you may feel the property just needs a “check-up”. HomeView can provide you with this as well. While the property may appear to be in good shape, there can be potentially serious defects that you may not have noticed. 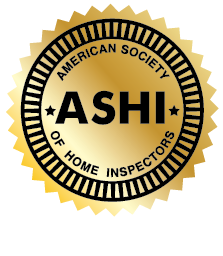 Having an inspection performed by a professional building inspector can provide you with a better understanding of the property. HomeView will provide you a written report and we encourage each client to participate in the inspection process. This vital information will greatly help with your decision in buying or selling and help in minimizing any unwelcome surprises. If you are just trying to fix up the property, or report can provide you with valuable information you can present to your contractors when making decisions on improving your current property. Having an inspection can literally save you thousands of dollars in costly repairs before you buy or sell. HomeView, as a professional building inspection firm, works solely for our client and is not affiliated with any outside agencies, builders or contractors. Our only interest is providing our client with a thorough, unbiased inspection and detailed report of the condition of the property, giving you the confidence you need to make those informed decisions.